Treatment results for lumbar epidural lipomatosis: Does fat matter? The lumbar epidural lipomatosis (LEL) is a rare disease that can cause sciatic pain syndrome or neurological deficits comparable to symptoms caused by a classical spinal canal stenosis. In severe cases surgical decompression was conducted. However, the outcome after decompressive surgery has only been investigated in small case series. 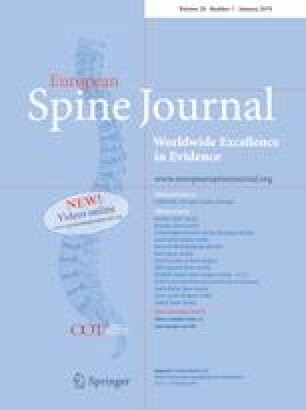 In this study we compared the outcome of LEL patients after microsurgery with the outcome of patients with classical spinal stenosis (CSS). Patients with LEL (n = 38) and patients with CSS (n = 51), who received microsurgical decompression, were followed in a prospective observational study for 3 years. The clinical results including the Oswestry Disability Index, Numeric Pain Rating Scale (NRS), Roland and Morris Disability Questionnaire, the Short Form-36 Score and the Walking Distance were analysed and compared between both groups. Patients with LEL improved significantly after microsurgical decompression in a 3-year follow-up concerning back pain, leg pain and pain-associated disability equal to patients with CSS (NRSback_LEL_preop. = 6.4; NRSback_CSS_preop. = 6.3; NRSback_LEL_3-years = 3.2; NRSback_CSS_3-years = 3.6; NRSleg_LEL_preop. = 6.3; NRSleg_CSS_preop. = 6.5; NRSleg_LEL_3-years = 2.5; NRSleg_CSS_3-years = 2.9; ODILEL_preop. = 52.7; ODICSS_preop = 51.8; ODILEL_3-years = 32.3; ODICSS_3-years = 27.6). The microsurgical decompression had a positive effect on the health-related quality of life, and patient satisfaction was high in both groups (LEL group—71%, CSS group—69%). LEL can influence the quality of life dramatically and cause a high degree of disability. A surgical decompression is a safe and effective procedure with a good clinical outcome comparable to the results in patients with an osteoligamentous spinal stenosis. Therefore, microsurgical decompression can be recommended in patients with LEL if conservative treatment fails. The online version of this article ( https://doi.org/10.1007/s00586-018-5771-1) contains supplementary material, which is available to authorized users. All procedures performed in studies involving human participants were in accordance with ethical standards of the institutional research comittee (reference number: EA1/101/17) and with the 1964 Helsinki declaration and its later amendments or comparable ethical standards. All authors confirmed consent for publication.